If you are interested in joining our club, please feel free to visit us at one of our weekly luncheon meetings as our guest, without obligation. 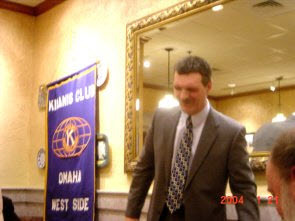 We meet at the Olive Garden on 7505 Dodge St, Omaha, NE 68114 at 12 noon on Wednesdays. Feel free to get there a little early (15 minutes or so) so you can meet a few of our members before lunch and the meeting start. Our club is designed to accommodate busy adults who want to give back to the children of the world and our community.